Tourmaline is a calming stone promoting wisdom, spirituality and meditation. Its pink color represents feminity, sweetness and tenderness. 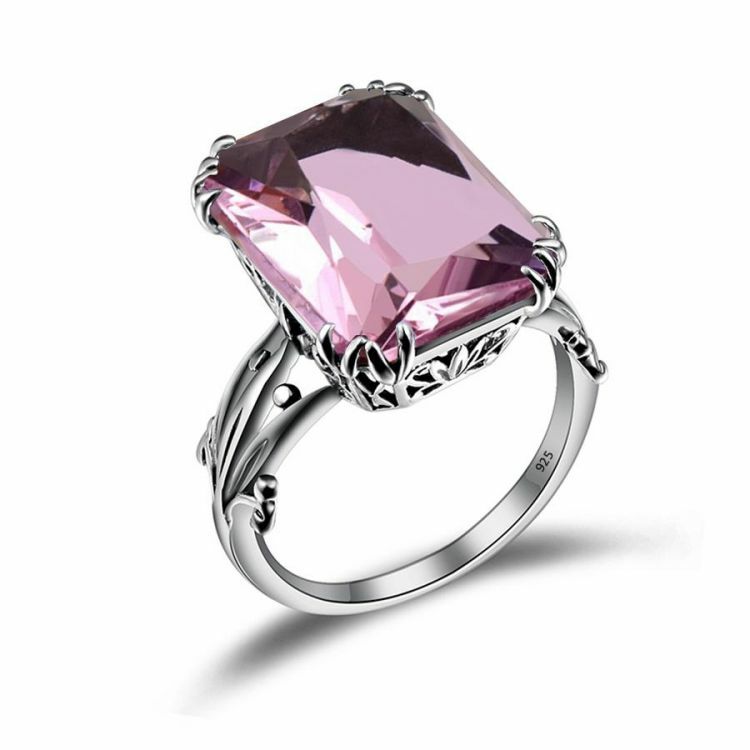 This alluring Sterling Silver Pink Tourmaline Ring ranks high in elegance and charm. It is carefully crafted in solid sterling silver and showcases an eye catching Tourmaline gemstone. Lively in color and is stunning in every sense, this piece is the perfect statement ring for any special occasions.